Orthopedics is a medical specialty focused on providing patients with optimal mobility and quality of life. Sheba's dedicated orthopedic staff stands out for its depth of expertise and its focus on individualized patient care. Each physician and professional support member of the ortho staff invests its valuable time into each of their patients, ensuring that every individual receives the best care possible. Surgery of the foot and ankle, knee, hip, hand, elbow, shoulder, and spine. Total joint reconstruction and replacement for knee, hip, foot, ankle, and shoulder. Arthritis therapy, recovery operations due to injuries, and much more. The Chaim Sheba Orthopedic team consists of the highest caliber, professionally trained specialists. This dedication to knowledge extends to the kindhearted nurses and other support staff. The unit works in close collaboration with a multidisciplinary team of physicians, nurses, physiotherapists, occupational therapists, social workers, and volunteers. By taking a holistic approach to orthopedic care, Sheba is able to work closely with specialists in geriatrics, neurology, oncology, pathology, and rehabilitation medicine, coordinating care for the “whole” person. The hospital's professional philosophy focuses on the patient and his or her family -- both during and after hospitalization. Many of the Chaim Sheba Orthopedic staff aid in designing and perfecting hip and shoulder prostheses. Additionally, the Ortho team has broadened the applications of fiber optic technology in arthroscopic surgery — a popular type of minimally invasive surgery. In today’s medical world, Arthroscopy has become a vital tool in the repair of virtually every joint. Sheba Medical Center's innovative approaches to joint replacement and fracture repair are minimally invasive, allowing for quicker recovery times and rehabilitation. The Orthopedic Oncology team is renowned for saving limbs afflicted with bone and joint malignancies. Sheba's service provides patients with the option of arthroscopic hip surgery, enabling patients to return to activities faster and with less pain. The arthroscopists employ cartilage preservation techniques, including cartilage transplantation. This innovative approach allows patients to preserve their joints, thus delaying the need for joint replacement surgery. Converting what used to be major surgery to outpatient procedures has dramatically shortened rehabilitation and return-to-work times, maximizing quality of life and activity. These procedures have been especially beneficial for many elderly or frail patients who are physically unable to undergo major surgery. Nursing activities are handled in a well-defined management style in which each nurse assumes responsibility for certain areas of patient care. 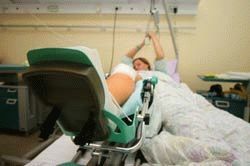 This method of administration has been successful in informing and educating the patient, on a personal level, before surgery and during the rehabilitation process. The end result is a closer relationship between the patient and his or her nurse. The orthopedic unit consists of 71 beds and offers various rehabilitation aids, wheelchairs, devices to help develop joints, etc. Sheba Medical Center even made it possible to install a television and phone for a fee.